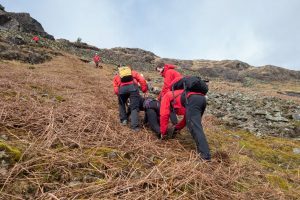 A call came in via Cumbria Police of a couple who were stuck on steep ground after wandering off-track between Seatoller car park and Castle Crag. 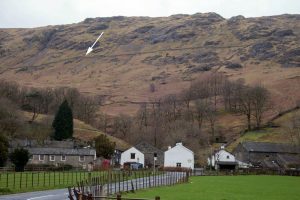 Information was scant about the couple’s exact location with just a few clues such as ‘we can see white houses, a car park and a white van in a lay-by.’ A team of five set off in a Landrover pooling local knowledge on the drive up-valley trying to figure out the clues and the possible location of the stuck people. 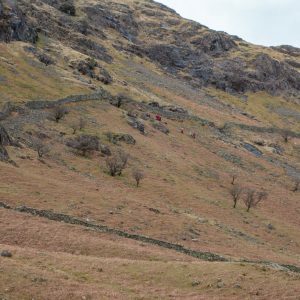 One further member went direct. 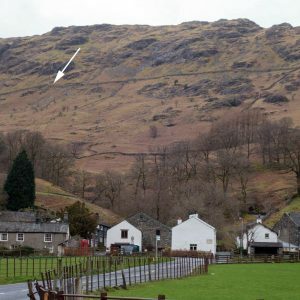 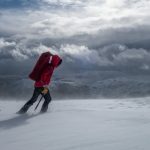 A team of two were dropped off near Longthwaite YHA, a further two set off from Seatoller car park and the last two went back to explore above Rosthwaite, in theory covering all the steep ground around High Doat and Johnny Wood between Seatoller and Castle Crag. 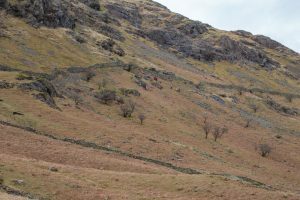 Further calls gained more clues including them being able to see ‘a cattle grid.’ There aren’t many cattle grids in Borrowdale, the only one in the area being on the road up Honister. 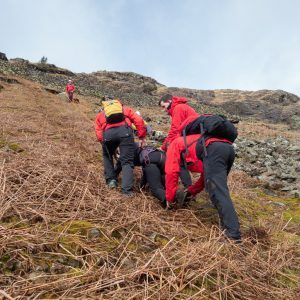 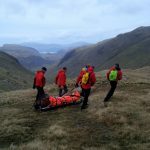 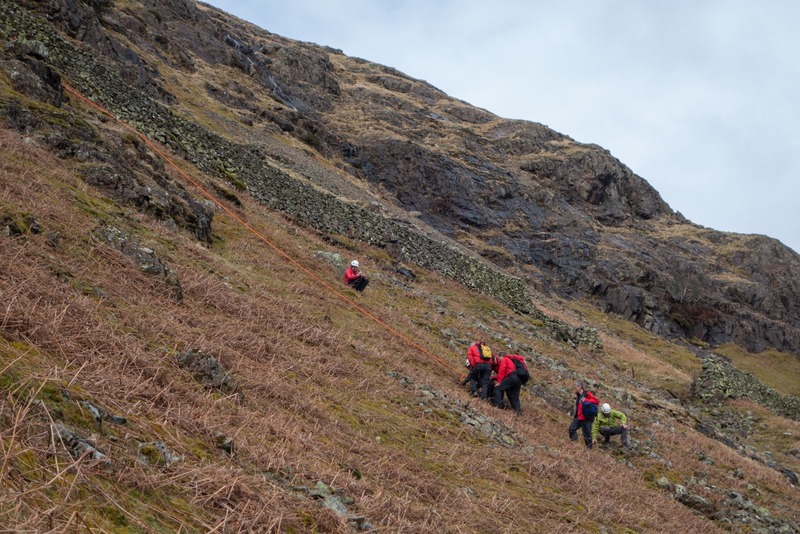 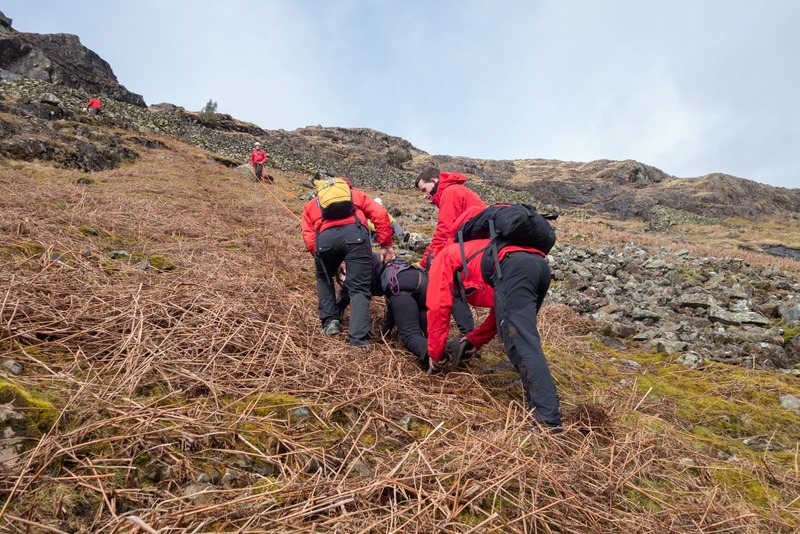 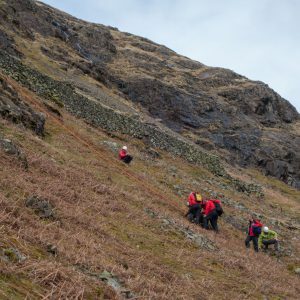 A second team had already been despatched so they were tasked to search the slopes above the Honister road. The couple were indeed found above the cattle grid. A rope was used to secure their descent on the steep and loose ground and they were brought down the fell to the Honister road.